InfoCaptor is the only application that includes the elements of Game design into a Business application. It makes using Dashboards absolute fun. It provides unlimited data sources and bottomless visualization options. There are currently no reviews of InfoCaptor Dashboard. InfoCaptor is focused for the small business and startup owner. It is extremely innovative, powerful and absolutely free of cost and will remain that way. Business Intelligence software is expensive but InfoCaptor aims to democratize BI by making it super easy and extremely cost effective. Below are some frequently asked questions for InfoCaptor Dashboard. Q. What type of pricing plans does InfoCaptor Dashboard offer? Q. Who are the typical users of InfoCaptor Dashboard? Q. What languages does InfoCaptor Dashboard support? Q. Does InfoCaptor Dashboard support mobile devices? Q. Does InfoCaptor Dashboard offer an API? No, InfoCaptor Dashboard does not have an API available. Q. 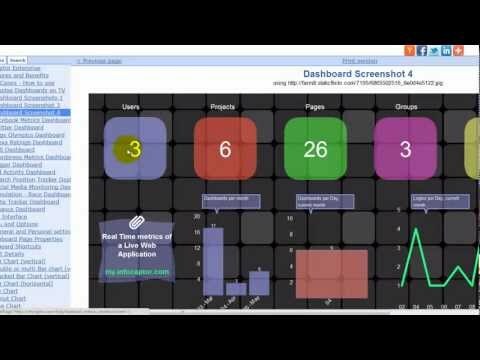 What other apps does InfoCaptor Dashboard integrate with? Q. What level of support does InfoCaptor Dashboard offer? Q. Which apps is InfoCaptor Dashboard compared to most often?